Remember the Tecno launch event held in Lagos recently? This is one of the smartphone unveiled at the event alongside its other sibling in the F-series, the Tecno F2. 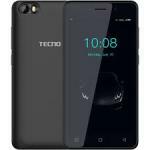 The Tecno F1 is absolutely a budget smartphone and as such does not offer much features. Hence, the smartphone is aggressively priced and suitable for users that want a second smartphone or on a very tight budget.